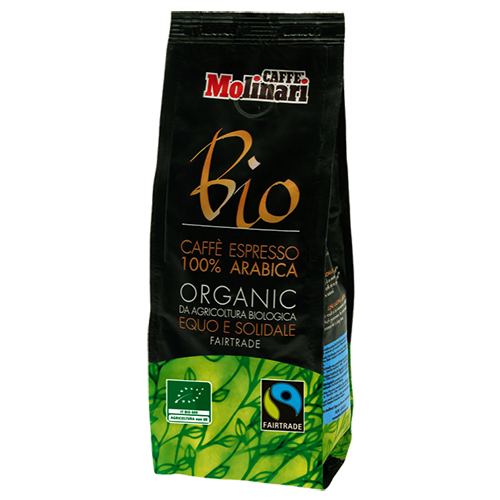 Molinari Bio coffee beans is made of 100% organic and fairtrade Arabica beans. America and is cultivated by natural methods. This is what gives the coffee its unmistakable aroma. guarantee the freshness and excellence of a superior quality product.